The '90s may have been a boom period for Keen, but his momentum hasn't ebbed a bit since the turn of the century - nor has his pursuit of continued growth as a writer and artist. If anything, his output from the last decade has been marked by some of the most adventurous music of his career. "Wild Wind," an unforgettable highlight from Gravitational Forces, his Gurf Morlix-produced 2001 debut for the Nashville-based Americana label Lost Highway, captured the character (and characters) of a small Texas town with a cinematic eye reminiscent of The Last Picture Show; but the album's title track also found Keen wryly experimenting with spacey, beatnik jazz. For the freewheelin', freak-flag-flying Farm Fresh Onions (2003, Audium/Koch), Keen and producer Rich Brotherton (his longtime guitarist) took the band into the proverbial garage to knock out their most rocking set of songs to date - most notably the psychedelic rave-up of the title track. Brotherton also produced the more rootsy but equally playful What I Really Mean (2005, E1 Music), but Lloyd Maines was back at the helm for 2009's eclectic The Rose Hotel and 2011's spirited Ready for Confetti (both released by Lost Highway). The later was especially well received by fans and critics alike, with AllMusic's Thom Jurek raving, "Ready for Confetti is, without question, Keen's most inspired and focused project in nearly 20 years." His latest project released in 2015, “Happy Prisoner: The Bluegrass Sessions” was a straight –ahead “love postcard to bluegrass”. This was something Keen had wanted to do for a long time and it was now or never. Keen is ranked Billboard’s No. 2, 2015 Bluegrass Artist of the year. 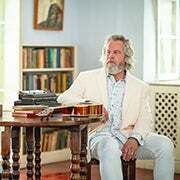 His current recording, Happy Prisoner: The Bluegrass Sessions, charted as 2015’s Top 5 album at Americana Radio and Billboard’s 2015 No. 2 album on the Bluegrass Albums chart. 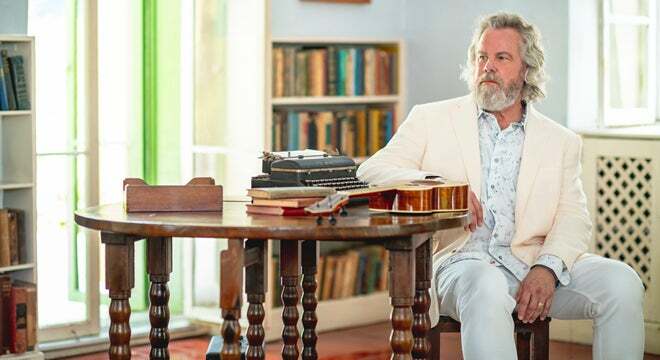 It isn’t always easy being Robert Earl Keen, but somebody’s got to do it. And now more than ever, he’s up to the task and loving every minute of it. Darrin Bradbury is an American satirist. A left-of-center folk singer. With a batch of songs that celebrate the humor and heartbreak of everyday American life, he’s spent the past decade traveling his way across the country, making pit stops at dive bars, listening rooms, punk houses, and world-class theaters along the way. The people he’s met during his cross-country trips — the seedy characters filling America’s underbelly, the corporate elite working out of corner offices, the blue-collar "everymen" who refill our coffee cups and ring up our purchases at Office Depot — all find their way into his music, which follows the offbeat tradition of John Prine, Jerry Jeff Walker & Todd Snider. Darrin has had the honor of touring alongside some of Americana's past & future legends, including Margo Price, Billy Joe Shaver, Elizabeth Cook, Ray Wylie Hubbard & Wanda Jackson.